It's 8-2-Eat, my new food-focused list series. A perfect Friday distraction. For the first edition, I take on a favorite spring vegetable--asparagus--and suggest 8 great ways to serve it. 1. Broil it. This is what I usually do with asparagus because it goes great with salmon and is so easy, such as in Salmon and Asparagus with Tarragon-Lemon Yogurt Sauce. 2. Make it into soup. Asparagus and sweet potatoes make great partners in the springtime pureed soup, Asparagus and Sweet Potato Soup. 3. Make it Crispy. 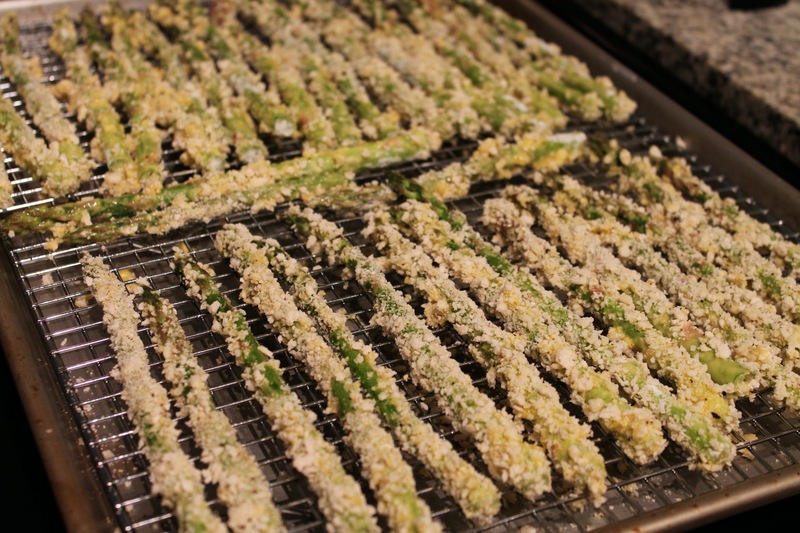 A quick egg dip and panko coating turns typical broiled asparagus into a crispy delight in Crispy Breaded Asparagus. 4. Shave it. 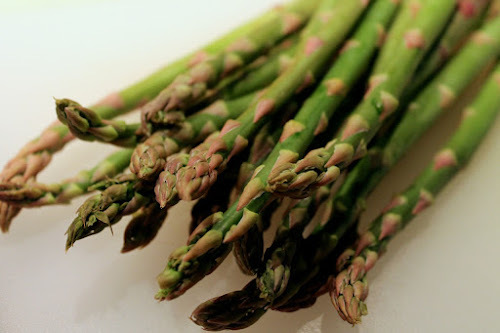 Use a vegetable peeler to shave thin strips of raw asparagus into Spring Shaved Asparagus Salad. 5. Make it into Pesto. Pesto isn't just for herbs; it can accommodate this spring vegetable too in Pasta Primavera with Asparagus Pesto. 6. Serve it with Quinoa. Quinoa is still the seed du jour, but a flavorful partner like asparagus gives it a needed lift in Quinoa with Chicken, Asparagus, Lemon, Yogurt and Hazelnut-Mint Pesto. 7. Serve it in Risotto. It's the perfect time of year to make a springtime risotto, such as Cauliflower, Asparagus and Mushroom Risotto. 8. Serve it for Breakfast. With bacon, toast and hard-cooked eggs, make asparagus something served not just at dinner in Asparagus with Mustard Dressing, Bacon and Eggs.